From store decorations to door buster deals, the nation's retailers are getting a big head start on Black Friday. WASHINGTON – Look around. Black Friday may be turning into Black November. From store decorations to door buster deals, the nation’s retailers are getting a big head start on Black Friday. MarketWatch’s Catey Hill says the reason is clear. There are a limited number of holiday gift dollars out there, and the first one to grab them, wins. Plus, Thanksgiving comes late this year. The number of days between Thanksgiving and Christmas is the fewest in a decade, “so that really crunches the prime holiday shopping time, so retailers are quite nervous about that,” Hill says. 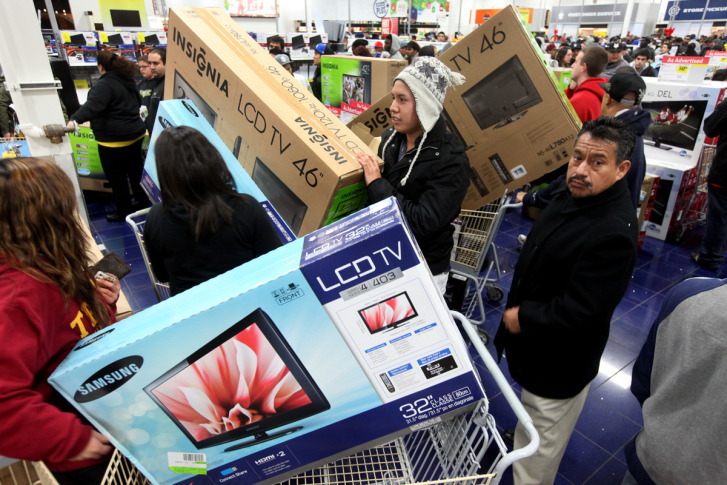 You can blame the early birds who browse the Web for deals on Thanksgiving Day, says Hill. This year, brick-and-mortar retailers will open their doors super early. Kmart opens for 41 straight hours, starting at 6 a.m. Thanksgiving. BJ’s Wholesale Club will make its Black Friday deals available all week. It’s a trend that is not expected to reverse in the years to come.